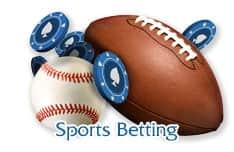 Gambling in Australia has a long history, and while online gambling has been in existence for a fraction of that time, it has quickly gained popularity. With so few live casinos in Oz spread over a vast land mass, it's no surprise that players have turned to the web in droves. Our top rated Aussie Online Gambling Site for April 2019 is SlotoMania. You can count on the following AU gambling sites being safe, honest and lots of fun. Our team of experts have checked each one individually and rated them specifically for Aussies! All the top sites offer substantial welcome bonuses for Australia players. Get ahead of the game and give your bankroll a boost with available welcome bonuses. Freedom and convenience are the primary reasons that Aussie players enjoy web-based casinos. Now you can play at any time of the day or night for as long as you choose with no dress code. The great Australian online gambling sites that we offer also sometimes award players with world travel, live tournaments, and gaming options that land-based casinos simply don't – or can't - offer. Australians pride themselves on independence, and Australian Internet gambling sites emphasize that. All gaming decisions, including betting limits and game choices, are completely yours. 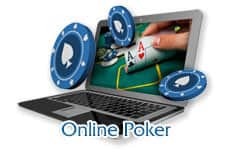 You can try plenty of gambling strategies to boost your winners, however if you really want to try an online game of skill, poker can be very rewarding. Like the casinos on this page, our recommended Aussie poker sites feature some huge bonuses. Join us now - sign up for free at a top gambling site and get started playing on your favourite Australia Internet gambling website today! Although Australia passed the Interactive Gambling Act of 2001 to try to regulate web-based gambling, this legislation only prevents Australian companies from operating online casinos on the continent. The law doesn't prohibit or target player activities domestically or internationally. Aussies should fear no backlash from the government. However, many of the world's best Internet gambling websites welcome Australians, which means you can enjoy pokies, poker and betting online Down Under. While individual states are responsible for regulating live casinos in Australia, online casinos based overseas lie outside of the government's jurisdiction. The best international sites are fully regulated and licensed by gambling commissions in their host country. The Australian government considers gambling to be entertainment. Rather than tax players, the government prefers to tax operators. Whether you play live or at online casinos, the Australian tax office won't take a cut. Whatever you win is yours to keep. What gambling games are available to play? Australian casinos online let you play all your favourite pokies, table games, and even internet poker against players from around the world. Experience the thrill of games like roulette, blackjack, craps, bingo, flip card, pai go, sic bo, and sports wagering just for starters. Which ones are more popular in Australia? Pokies are easily the most popular game in Australia. Many sites offer hundreds of variations. 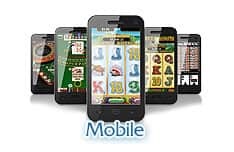 You'll find everything ranging from basic poker machines to sophisticated games that let you play 120 lines at a time. It's easy to start playing for real money in less than five minutes. All you need to do is visit one of our recommended sites, create an account, and make a deposit using your credit card, bank account, debit card, electronic wallet, or other convenient method. 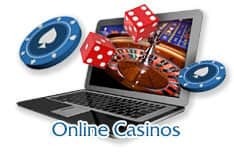 Some sites also require you to download software, but many of the best online casinos let you play right in your browser. What games have the best winning opportunities? Games of skill give you the highest probability of winning. You'll obviously need to master the rules and play properly to achieve maximum gain. Blackjack, video poker, and baccarat provide competitive payouts and are relatively easy to master. Just refer to the guides on this site. Assuming you play at a reputable online casino, including any of the sites we recommend, you can expect every card, spin, and roll to be fair. Internet gambling sites use RNGs or random number generators to mathematically simulate every outcome. What happens online has the same probability as occurring in a live casino. When you play at a top-rated Australian online casino, you can count on safety, privacy, and security. The best sites use the latest encryption technology to protect your data and keep hackers out. Sites proudly display their safety measures and credentials on their landing page.